Clean Bar Box is a brand new handmade soap subscription! 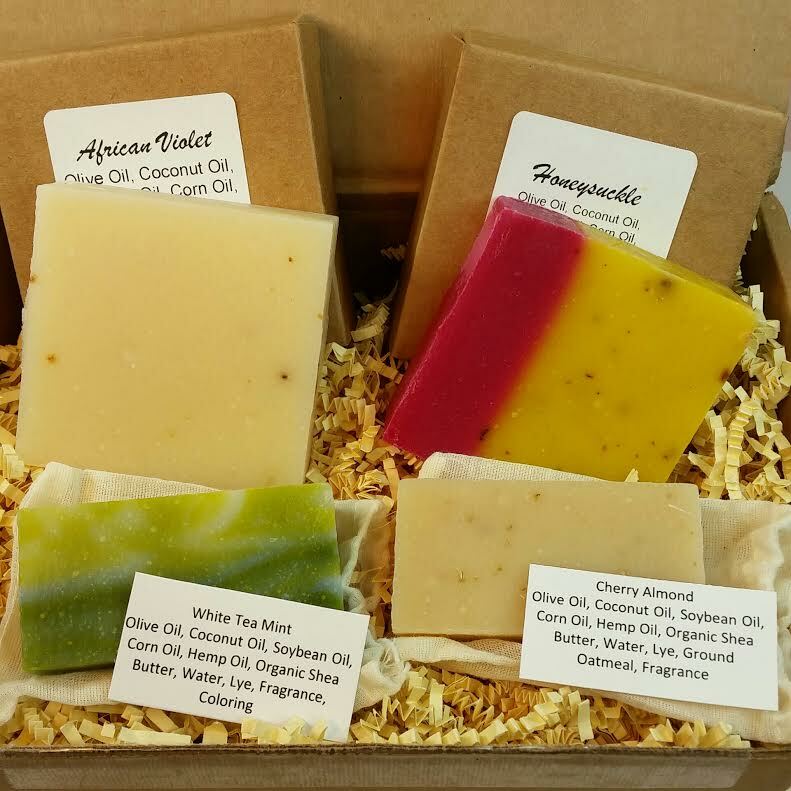 Each month (or bi-monthly, if you choose), you'll receive a box with four different small batch soaps. I love handmade soap because they tend to have the best scents. This box is no exception. The included scents are to die for! 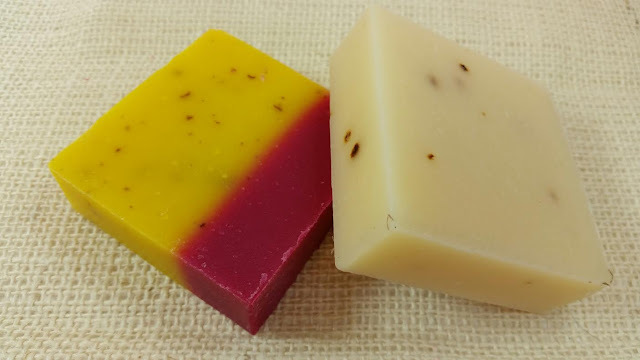 The nice thing about handmade soaps is that they don't have any preservatives, animal products, petroleum products, parabens, or lauryl sulfate. So if you're avoiding any of those things, this is the way to get your soap! Honeysuckle- This two tone honeysuckle scented soap is almost the same colors as the honeysuckle I have growing outside and it might smell even better. It's made with olive oil and coconut oil and even has rose petals in it. The scent is springy and floral. I love it! African Violet- This 5oz bar is made with olive oil and coconut oil, too. The scent is also floral but lighter and maybe a little sweeter than the honeysuckle. It has juniper berries in it for a little oomph and exfoliation. Cherry Almond- This soap makes me drool it smells so good! It's made with olive oil, coconut oil and shea butter with ground oatmeal in it for a soothing and exfoliating effect. I wish I could eat it, that's how good it smells. This is a mini bar and weighs 2.5oz. It's still a good chunk of soap and I love the little cloth bag it comes in. White Tea Mint- All of these soaps smell so good and I have to admit a little partiality to mint. The swirls of green in this bar are gorgeous. I don't mind coloring in my soap at all. This bar is also made with olive oil, coconut oil, soybean oil and shea butter. It's a big chunk weighing almost 3oz so I'm glad I like it. This one was my husbands favorite. He apparently doesn't want to smell like a flower but smelling like tea is good. VERDICT: Since I'm a fan of soap like this, I think Clean Bar Box is fantastic. This is a lot of small batch, artisan soap which tends to be expensive to begin with but Clean Bar Box makes it more affordable. I love that they will do bi-monthly subscriptions for those who don't go through soap so fast. I think this might be the most soap bang for your buck of all the soap boxes out there currently. I wish I knew who or what small business had made these soaps and I wish I knew which fragrances were used in each soap. Currently the label just says "fragrance" but as someone with an allergy, I'd like some specifics. I'm assuming this month that fragrance means fragrance oil and not essential oil. There's no denying these bars all smell amazing, though, and I love getting four different kinds. If you'd like to sign up for Clean Bar Box, make sure to use coupon code CLEAN10 for 10% off your first box! They ship internationally, too, so you might want to check that out. Also, enter their Giveaway for a free box: Clean Bar Box Giveaway. There will be ten lucky winners! THANK YOU for this great review and for the coupon code. I used your link and signed up. Ooo! That would be a good idea! They should consider that type of thing! I have a wire hangy holder thing that I keep my soap on in the shower. When I get down to a sliver, I put it in a "soap bag" (a plasticy mesh sack with a drawstring) and once there's enough slivers in there, I just use it like an extra flavorful soap-scrubby. Plus it's a little more foamy usually, too. Since we use mostly handmade soap, it's super handy. 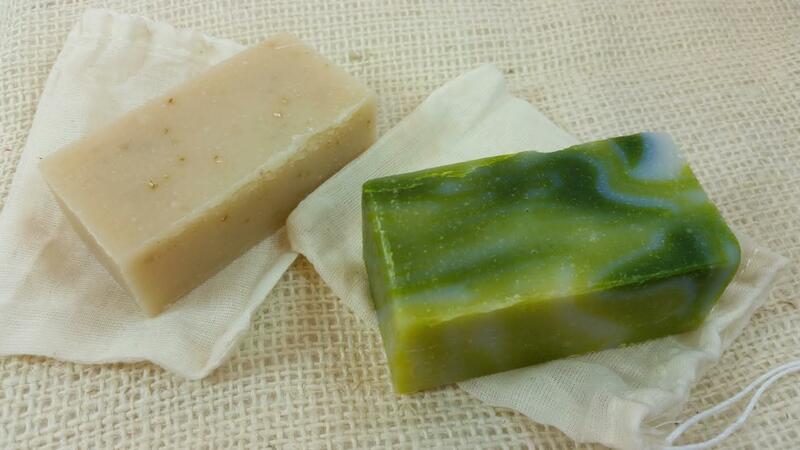 Some soaps will be more soft than others, depending on the types of oils used so it's sort of hit or miss. In this particular box, these soaps are going to be more on the soft side. Olive oil makes a nice hard bar if it cures for a few weeks but both coconut oil and soybean oil contribute to softness. I'd rather have soft skin than a longer- lasting bar of soap.